Pantone’s 2015 color of the year, Marsala, is much easier to work with outdoors than this year’s bright purple Radiant Orchid. 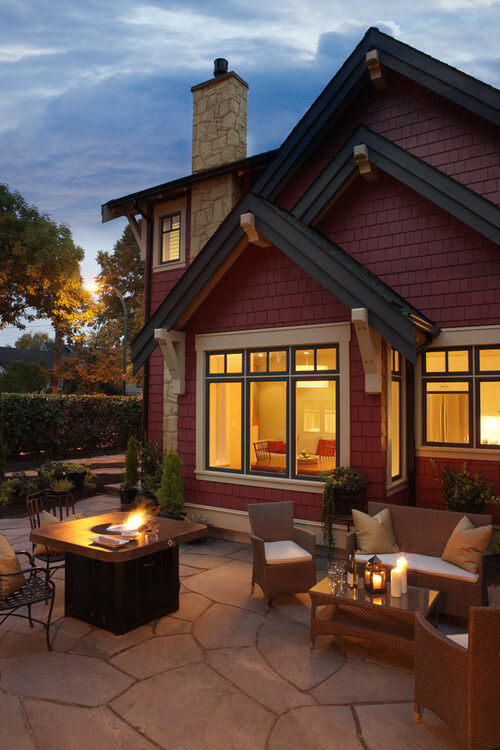 In fact, odds are that you may have Marsala integrated into your outdoor living design already. 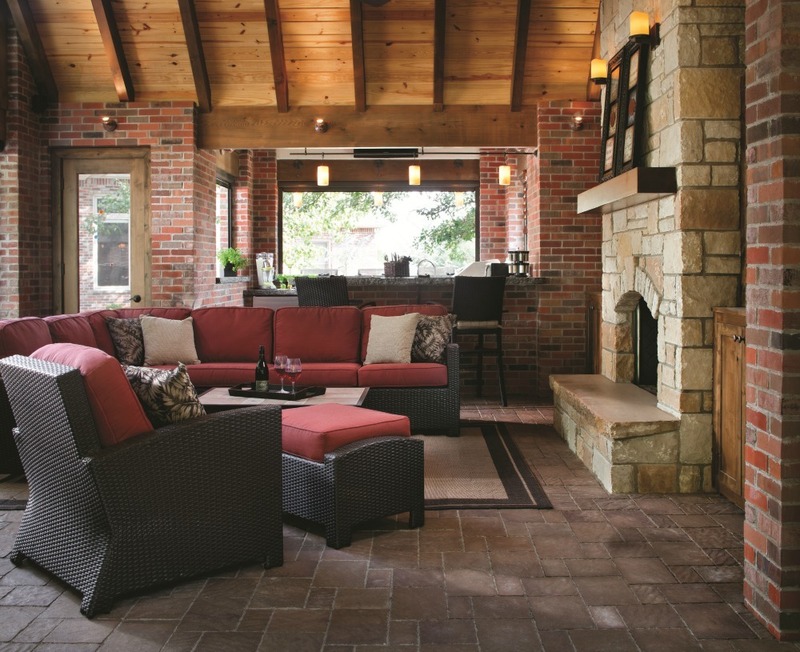 Brick and brick-colored pavers often have shades of Marsala in them as do a number of plants. It’s an easy color to compliment and contrast. Marsala seems to work well with neutrals including warmer taupes and grays while also being highly compatible with amber, umber and golden yellows, greens in both turquoise and teal, and blues in the more vibrant range. 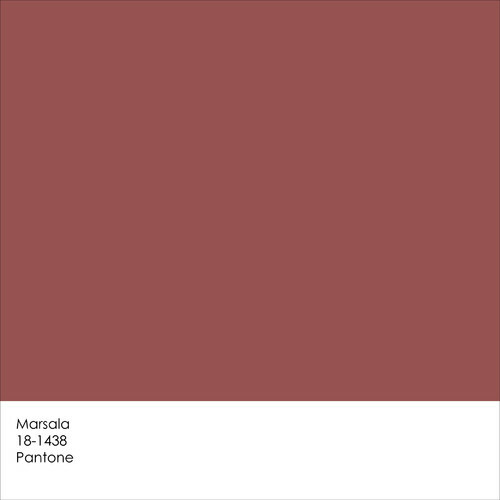 In fact, Pantone describes Marsala as a unifying color because it pairs well with so many others. Now that the announcement has been made, expect retailers to start stocking this pretty wine-like shade. 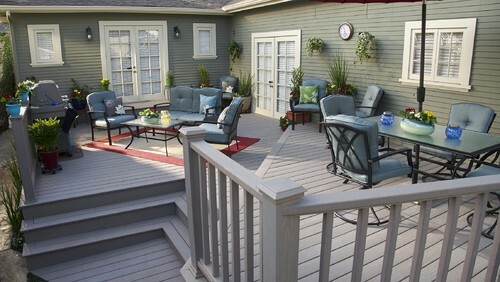 Here is how you can incorporate it outdoors. While different paint brands also come out with there own versions of color of the year, the one that the media and fashion industry pays the most attention to is by Pantone, the world-renowned authority on color. The Pantone Color Institute chooses a color each year based on extensive research into what people around the world are currently in search of. The Institute is responsible for creating an innovative system for identifying, matching and communicating colors which revolutionized color-critical industries such as digital technology, fashion, home, plastics, architecture and contract interiors, and paint. The color compliments a variety of skin tones, which is also why the fashion industry has already previewed 2015 lines featuring this Marsala alone and in patterns. The other selling point of this particular color is that it is generally appealing to both men and women while boasting a bit more longevity than bolder choices in the past. In addition to sourcing Marsala-colored containers for your plants, if your plants don’t already boast shades of the trendy color, it’s easy to swap in some that do. The homeowner above also mixed a Marsala container with other shades to create this pretty color combination–hence the color’s unifying properties. The list of plants that have shades of Marsala in them is quite long. 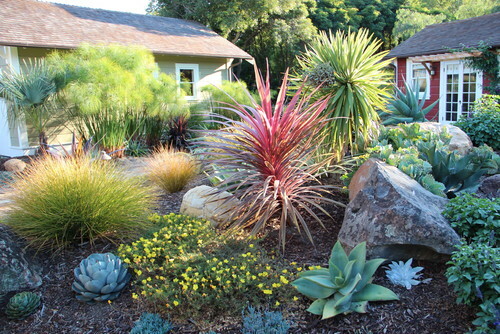 Many succulents have this wine color bordering their leaves, but here is a short list of other plants that will do well in Southern California. Clip the branches from this shrub to compliment flower arrangements year-round. 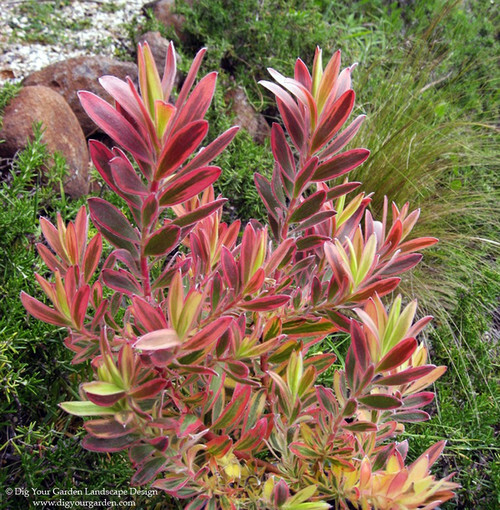 Buying leucadendron branches are pricey at the florist and a pretty way to add both height and color to your Southern California garden. Leucadendron is a member of the protea family, loves sunlight and doesn’t need much water. The Safari Sunset variety grows well in clay soil with little care. Bloodleaf grows well in filtered sunlight or shade. It’s the plant that people compliment the most around my house because I contrast it with a yellow sedge and dark green lady palm tree. 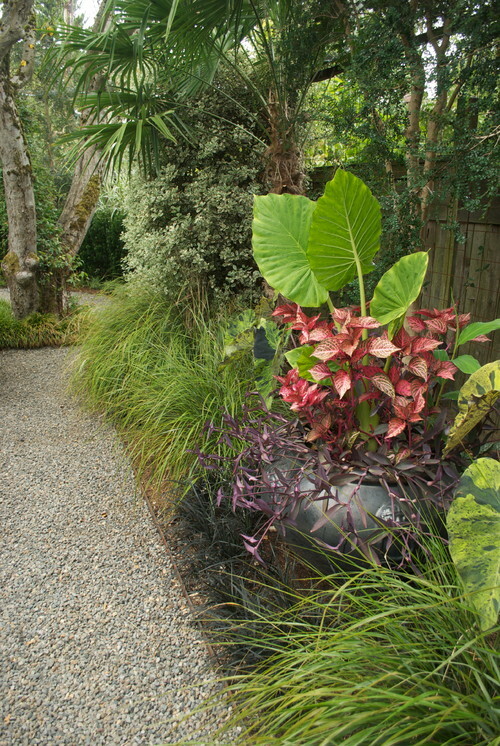 Most people plant bloodleaf in container gardens like the homeowner above. 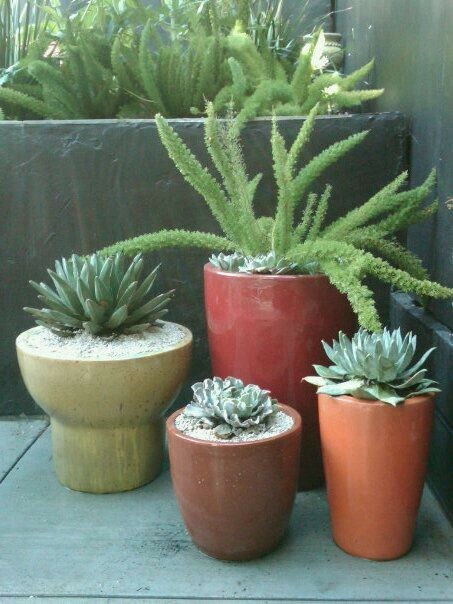 Be mindful of which type you purchase because though the look the same in small pots, some grow larger leaves than others. Easy to find, pink cordylines come in a variety of sizes. Some grow up to 8′ tall while others never develop a stem and stay near the ground like a flax plant. Find them everywhere–even 1 gallon pots are common. This low-water plant loves the sun and doesn’t require much pruning or special care. 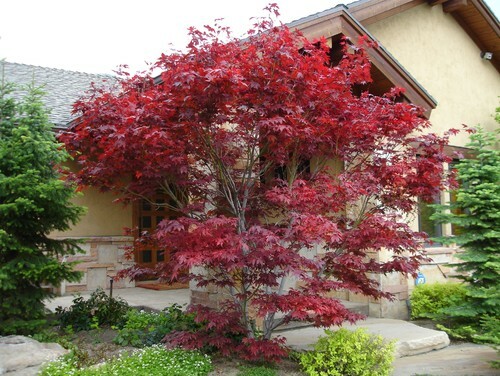 Yes, Japanese maples will grow well in coastal Southern California climates, even in large containers. They do need well-draining soil (or containers) so the minerals in our water doesn’t bog down the roots. Keep the soil amended and cover it with mulch. Our local nursery recommended a thick layer of orchid bark on the top of my Japanese maple container. Direct afternoon sun is another no-no. But, their delicate leaves are so beautiful that it’s worth not seeing them during the winter–they’re deciduous trees. 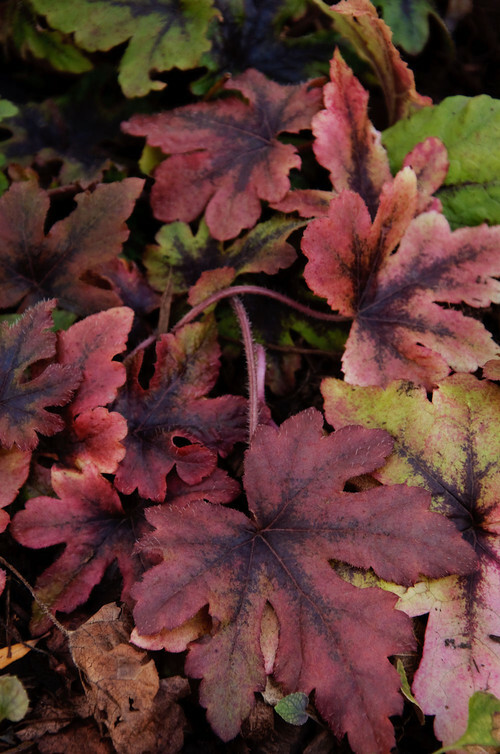 An excellent choice for year-round color is heucherella with its heart-shaped leaves than can vary from deep red to multi-colored. The Sweet Tea variety boasts shades of Marsala. Heucherella is also referred to as foamy bells in the U.S. because of its foam-like white, pink or cream flowers that appear in the spring. Plant heucherella in shade and containers. Most people use them as a low-growing shrub under trees. Add Marsala to your existing color palette by adding or swapping out pillows. See the difference that adding this simple Marsala-colored rug makes in the photo above? Go for a combination of colors. While homes painted entirely Marsala are more common than you think, if that is too much, painting an accent wall is an easy way to add warmth to your landscape. Have adirondack chairs or other wooden furniture that needs a refresh? You guessed it–Marsala works here, too. 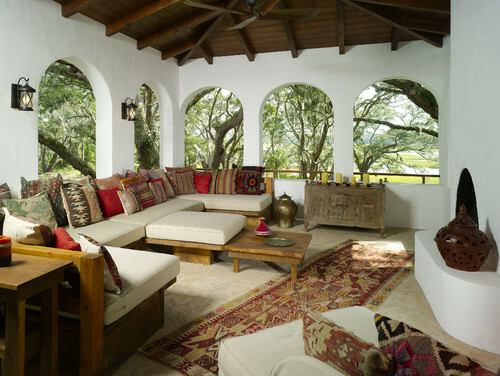 Does Marsala already feature in your outdoor decor or do you plan to add it?